The photographs atop this entry featuring a male and female Northern cardinal (respectively) in my rooftop garden, where they are alighting on the branches of my kiwi vines. They are two of many pictures that I took during the "bomb cyclone" (a winter storm which occurred on 1-4-2018 here in NYC). 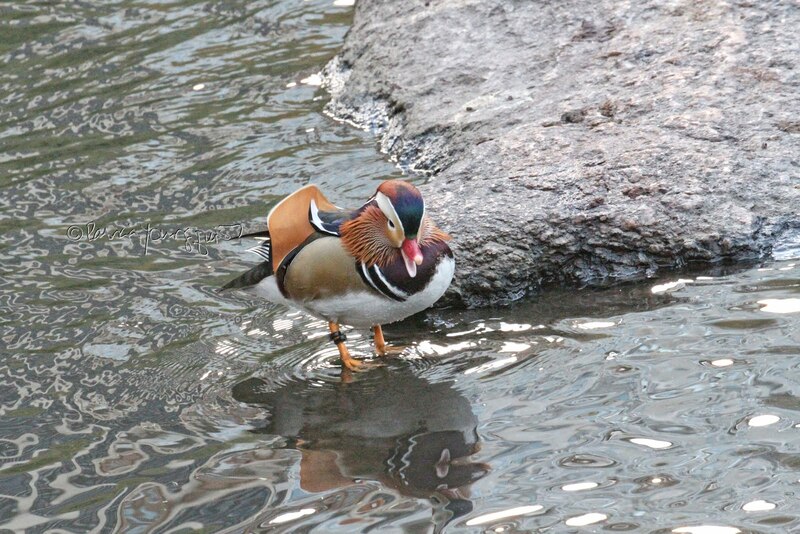 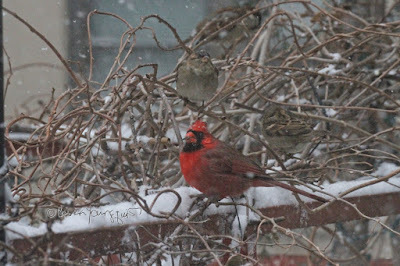 Btw, do you notice a little house sparrow at the bottom of the second image? 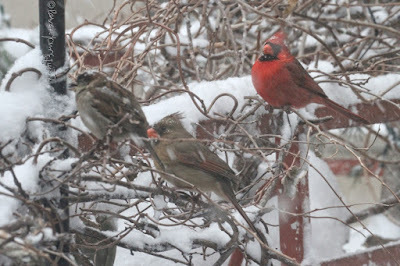 Under any "normal" weather conditions, these bird types do not tend to get along as evidenced by the You Tube video posted below. 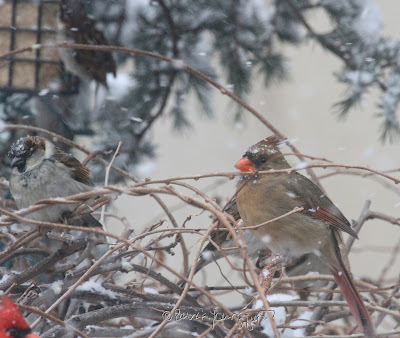 I discovered the video (which is featured on a web-page for The Cornell Lab of Ornithology) when I was researching a different topic about wildbirds on the Internet. 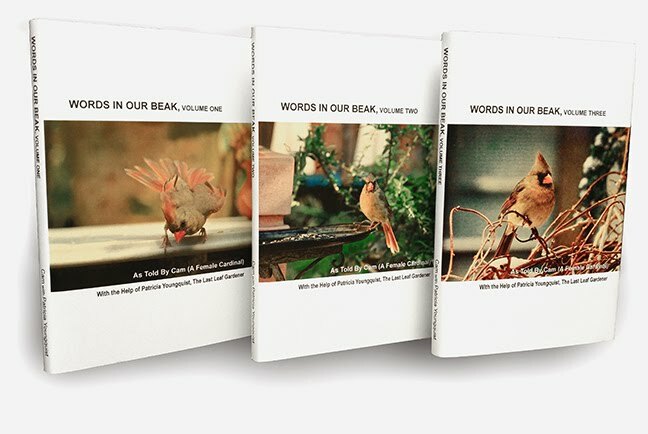 As you can see, this clip features a "battle" of the Northern cardinal and the White-throated sparrow, but I have witnessed "battles" between an array of one type of avian species against another type, when they are spending time at my place. 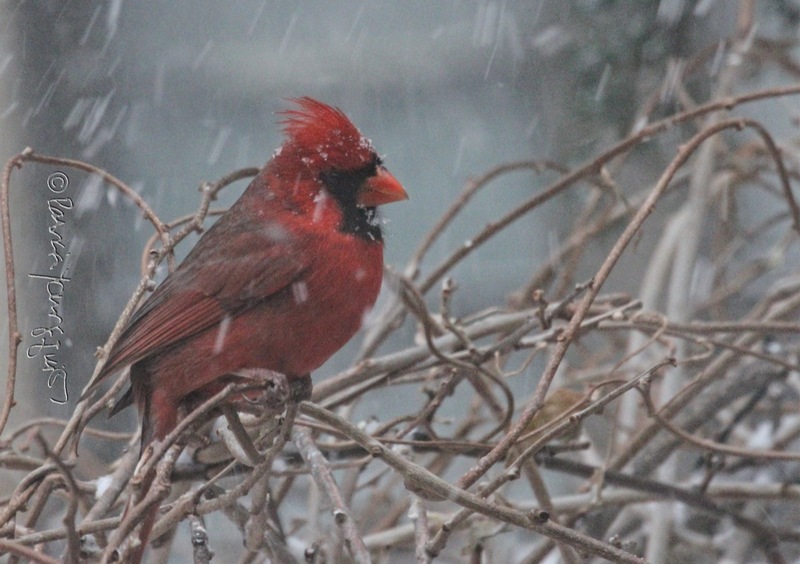 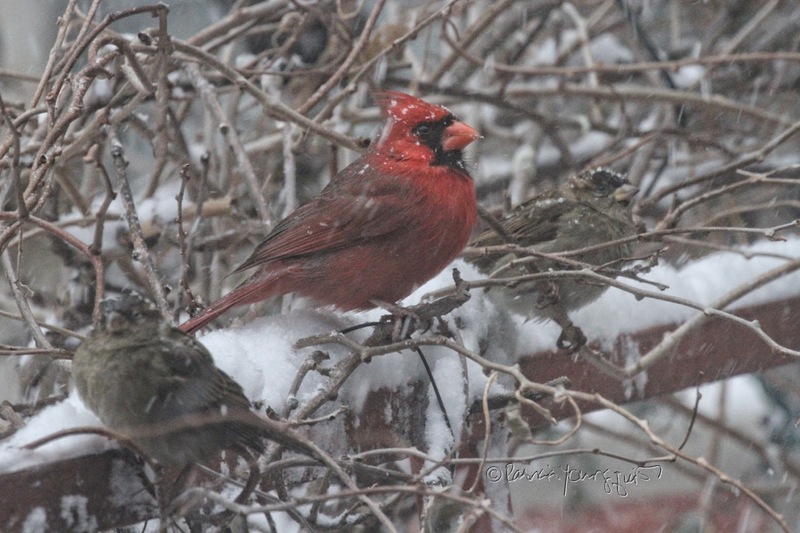 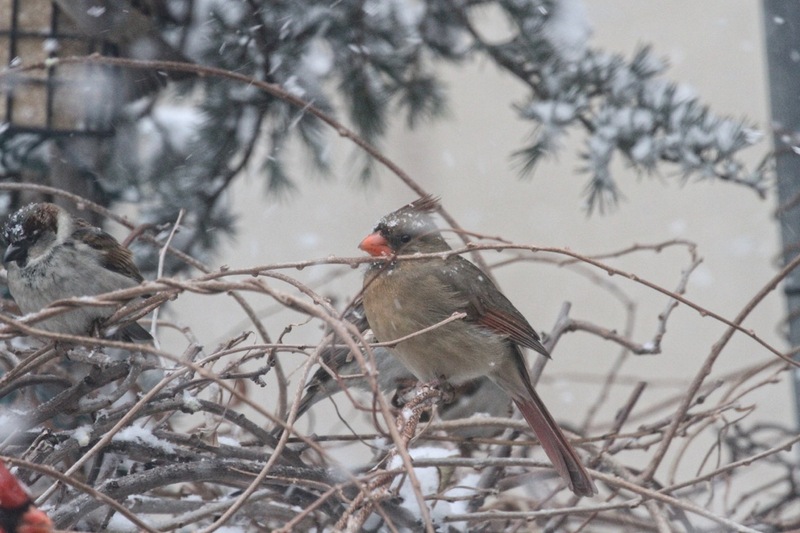 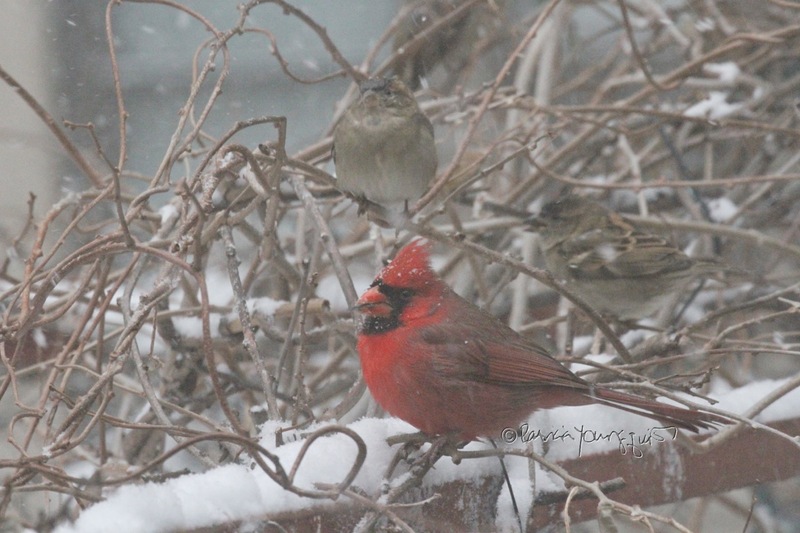 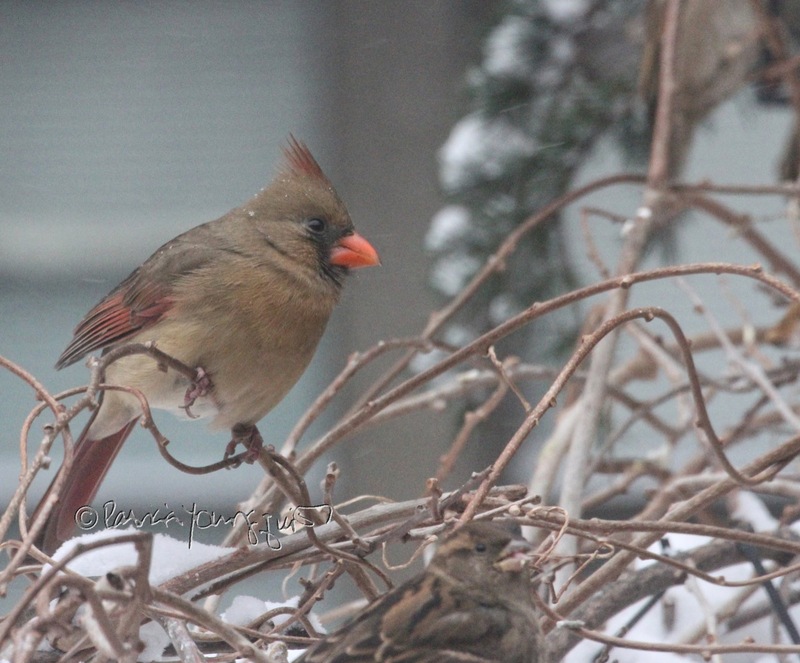 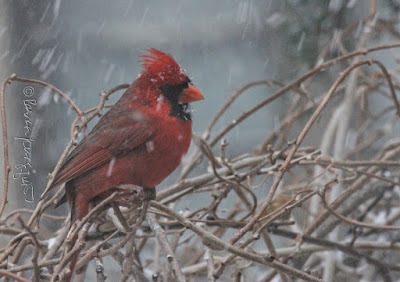 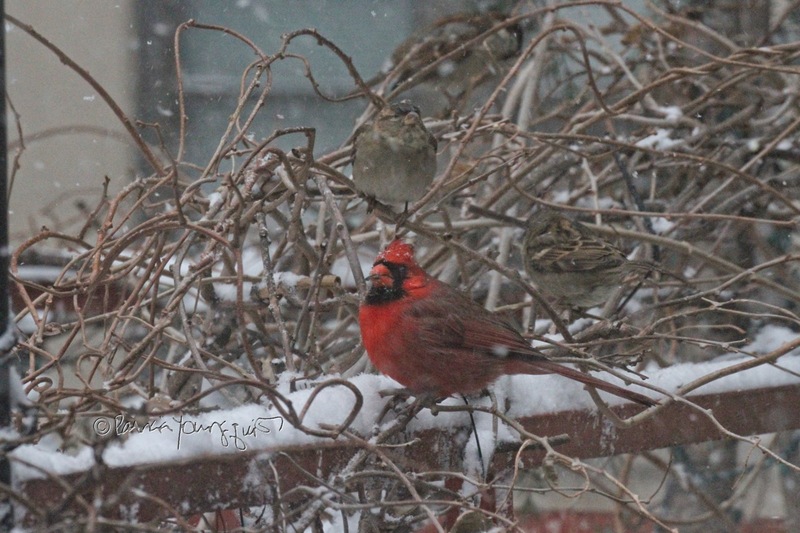 However, one thing that I have noticed is that during snowstorms, different types of birds do seem willing to spend time together, and even break bread together as evidenced in the next set of images, of cardinals and sparrows getting along. 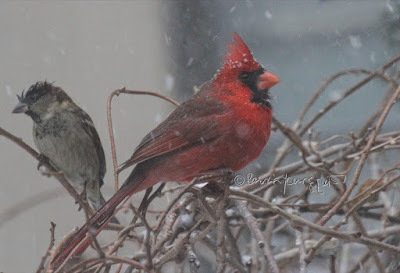 I cant't find any source that discusses why some bird types who normally don't get along, seem to put their differences aside when certain weather conditions prevail. All I can say is that I've witnessed this phenomenon with a number of bird varieties, who happen to visit my place at the same, during harsh weather conditions.